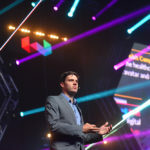 Though the moderator of the panel was still sitting on his plane, being late for leading the discussion, the Advisor at 8VC Jon Soberg, the founder and co-CEO of H-Farm Maurizio Rosi & the Investment Director at iTech Capital Alexey Telnov managed to deliver their experience and insights in the discussion about Investments in FinTech at Webit.Festival 2017. Technology is changing everything, in all sectors, businesses and business models and has an impact on society in the daily lives of millions of people. Technology is effective once it’s combined with the next generation. Money is data too, they represent the value. As we’ve already entered a “data age”, there’s much more consciousness about the data. From online payments through digital wallets and asset management, this is a pretty vast area of settling a company and acquiring a market segment of. 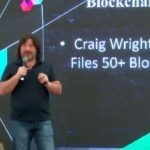 As for FinTech where the area has been controlled by the big banks and large organizations until recently, now we see more and more startups creating new products and truly having an impact. Even though it’s getting more crowded in the last few years, this market still provides probably the biggest opportunity that’s out there in terms of a market. By default, FinTech companies are dealing with money so that makes an investor’s job easier in order to track the flows. This area is fairly straightforward when it comes to a particular business model and the way the business works. The market for financial services is more than enough large so nobody has to ask questions about the size of the market or how companies in the sector will make money. The question is whether they can execute and succeed. The buzz in FInTech naturally raises the question of security: security solutions and their integration in FinTech products and services. 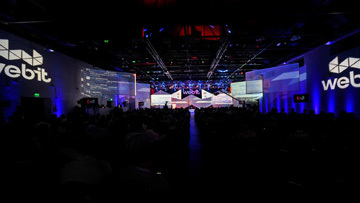 Companies are putting more and more information on the cloud so security is a sensitive issue in all areas and needs to be paid proper attention to. Companies operating in this domain need to deal with regulations, licences and still find a way to keep their customers data secure. 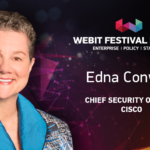 Chief Security Officer of Cisco - Edna Conway joins Webit this June!